There’s nothing like the aroma of ginger cookies baking. Well, except, eating them when they are warm and fresh out of the oven. Whisk together flour, baking soda, ginger, cinnamon, allspice, salt, cloves, nutmeg and cayenne pepper; set aside. Bake in middle of the oven, one tray at a time, until the cookies are set around the edges but still a little soft in the centre, about 9 to 11 minutes. Transfer to a wire rack to cool completely. Store in an airtight container for up to 3 days, or freeze for up to 1 month. For fully-loaded ginger cookies, add chopped pecans, white chocolate chunks and chopped crystallized ginger to the dough. Coarse sugar for cookies, also called decorative or sanding sugar can be found at bulk food stores. 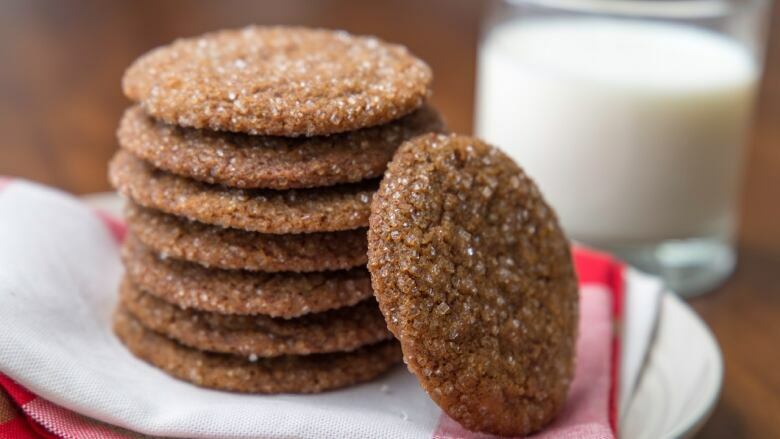 It really does make the ginger cookies sparkle but granulated sugar is just as pretty and delicious.